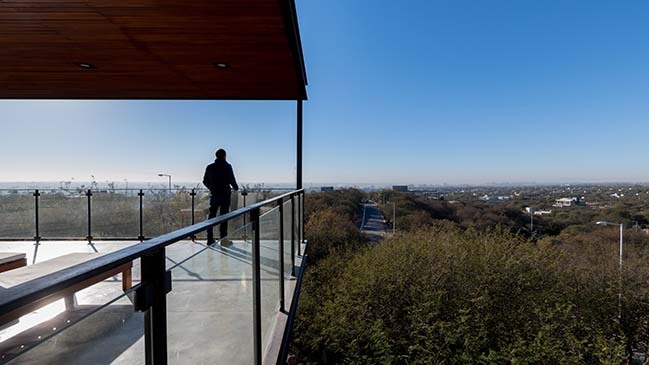 In this housing project, the challenge posed by the contracting party was to take advantage of the views from the piece of land and to be able to interrelate its functions. 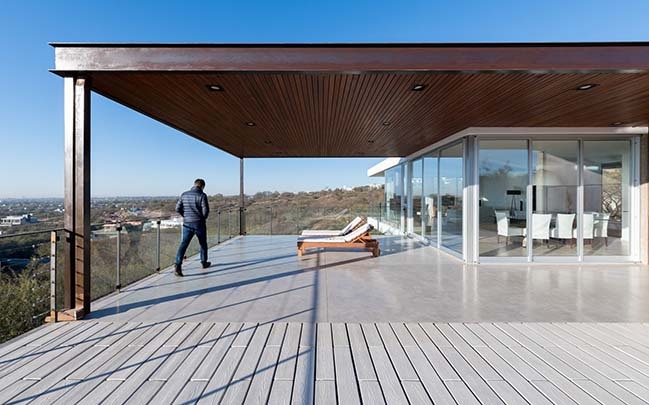 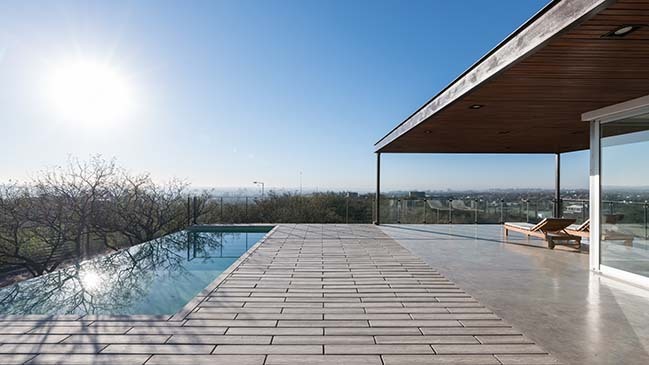 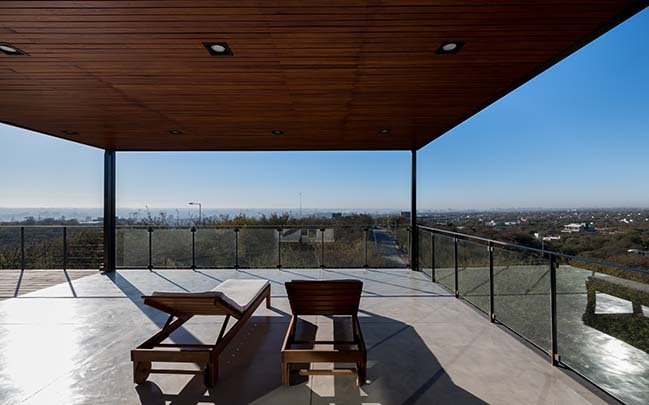 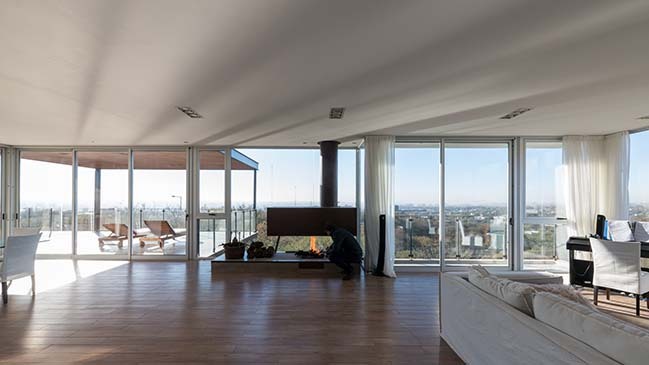 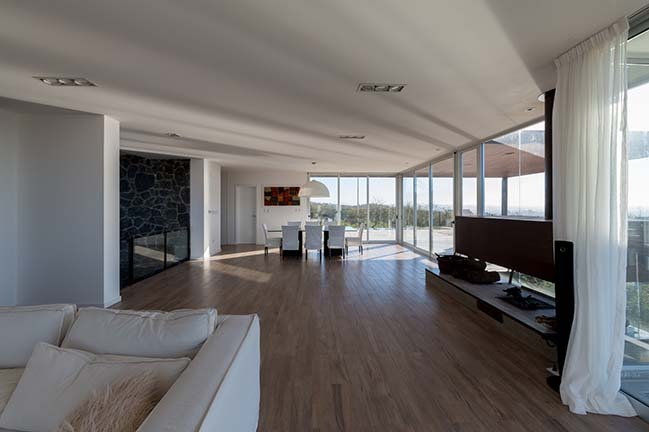 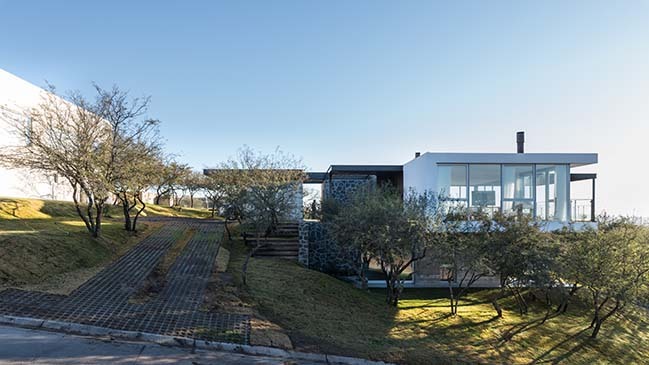 The land, located in a neighborhood called La Pankana, allowed us to appreciate a 180-degree view of the city of Córdoba, due to its orientation and topography. 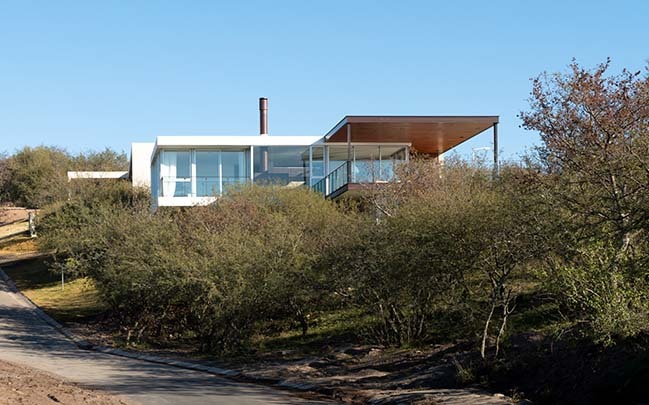 From the architect: Taking this into account, the incorporation of the project in the land was achieved based on its function. 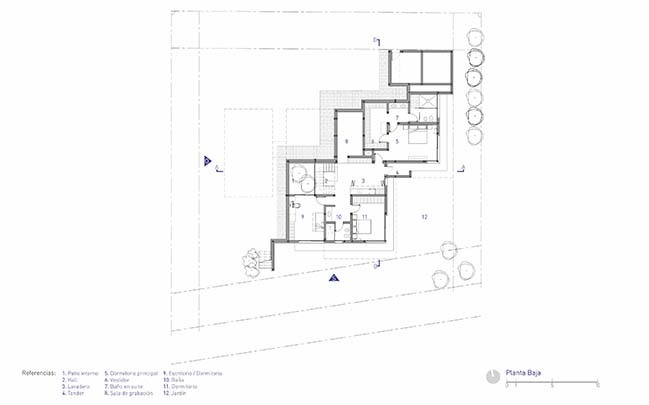 In other words, once the plan was analyzed and studied, we were able to connect the function of each floor with the land’s topography, and, in this way, we could intervene in the morphology of the project. 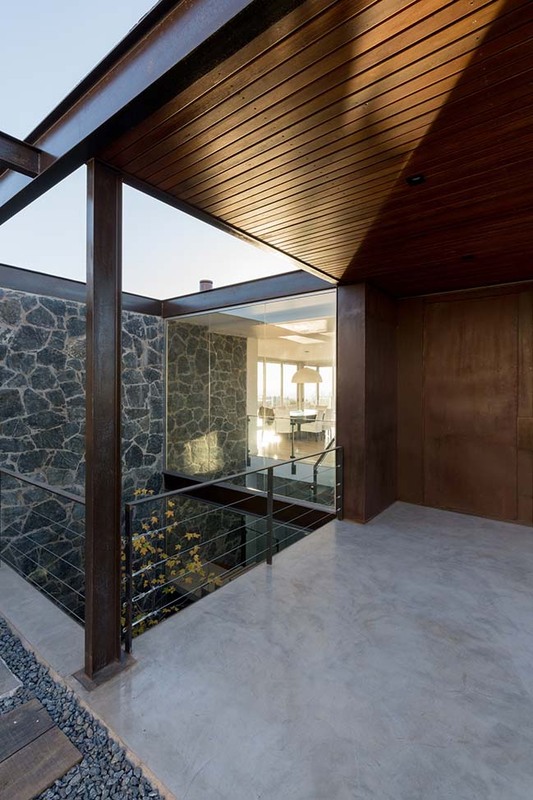 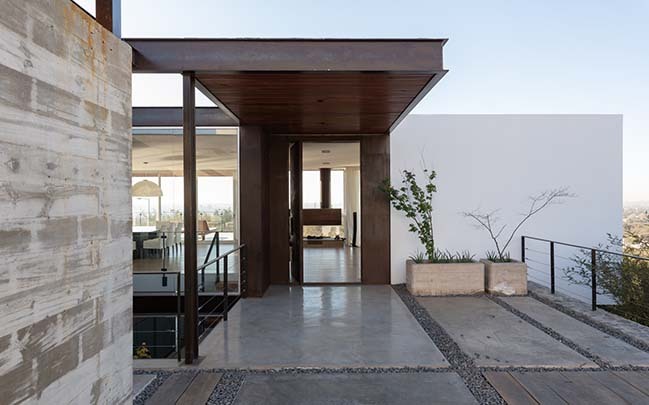 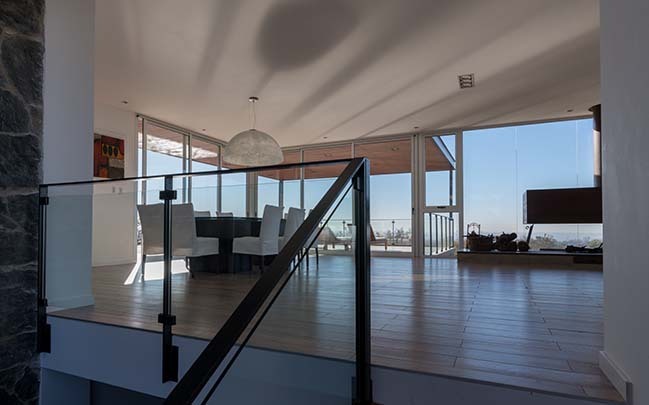 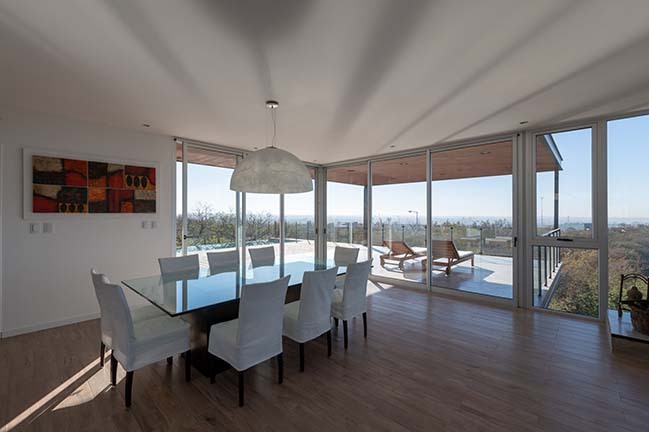 Regarding the top floor, we created the social area, in which the living and dining rooms, the kitchen, the entrance, the verandas, and the pool participate in each of this floor’s activities due to their permeability. 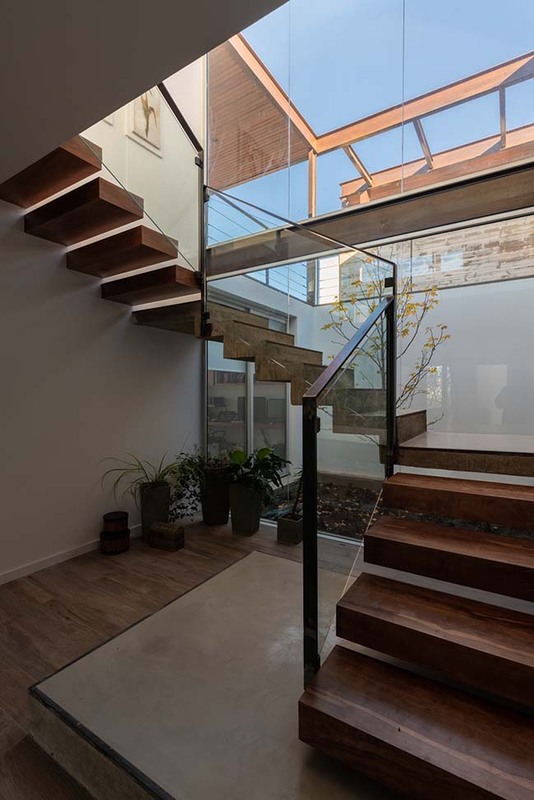 The main staircase is located within the vertical core, which is surrounded by the zenithal light coming from the internal courtyard. 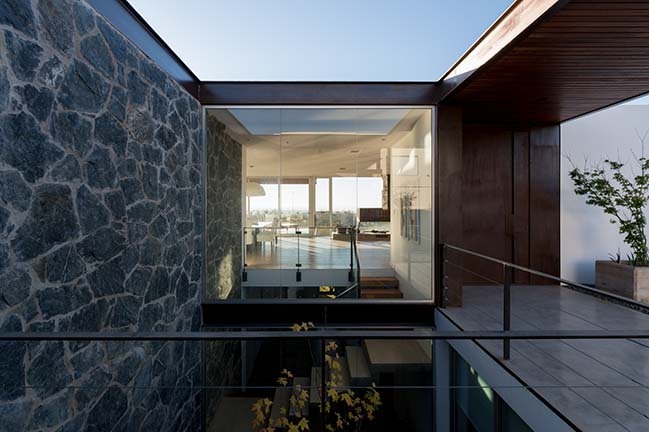 The private area was designed in the ground floor of the house. 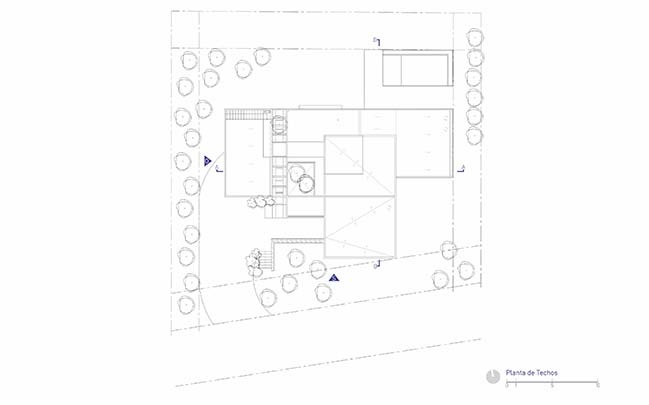 In the East side, there is a main bedroom, a dressing room and an en-suite bathroom. 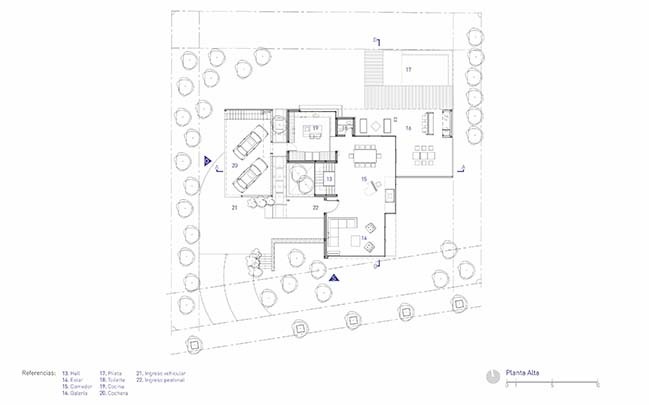 In the South side, on the other hand, there is another bedroom, a bathroom and an office, which are connected through a hall where the floor’s service area is located. 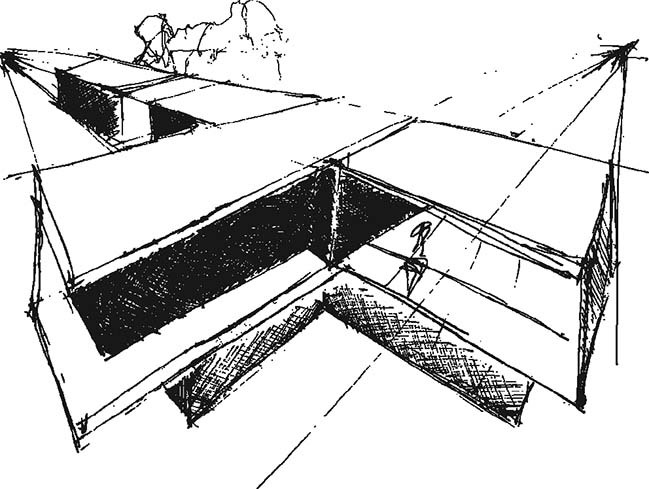 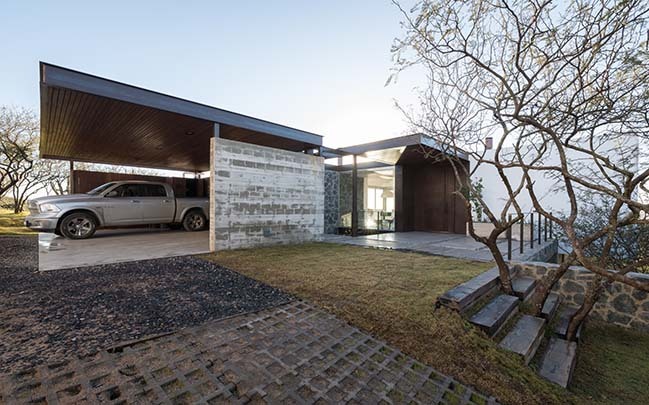 This design tries to expose a purer volume, where the ground floor’s private area is located. 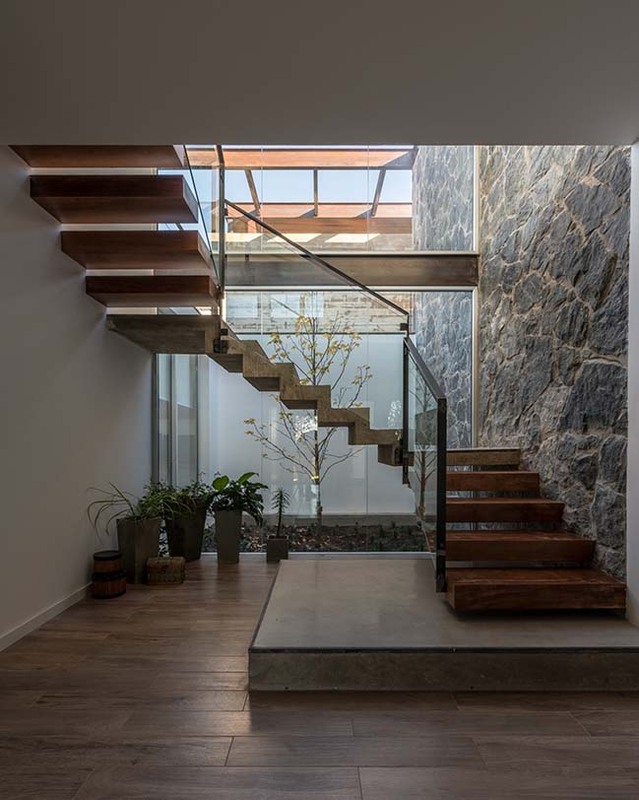 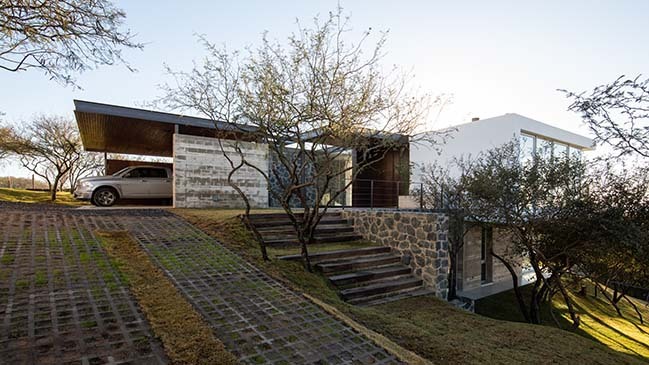 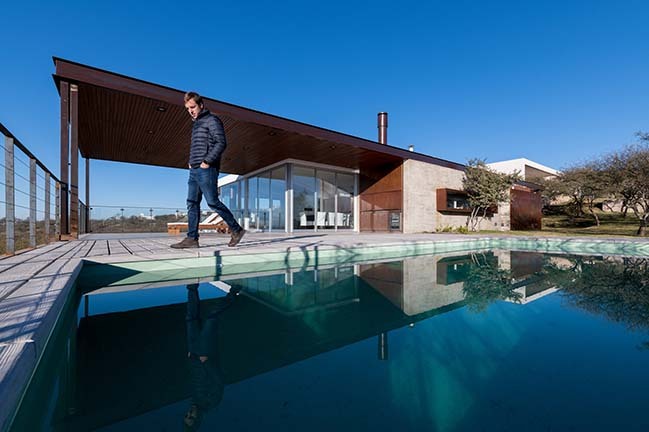 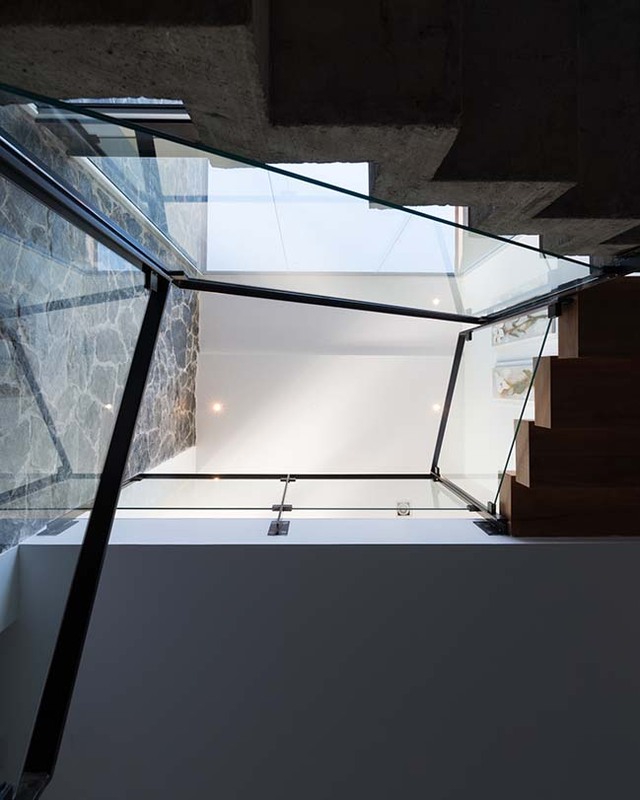 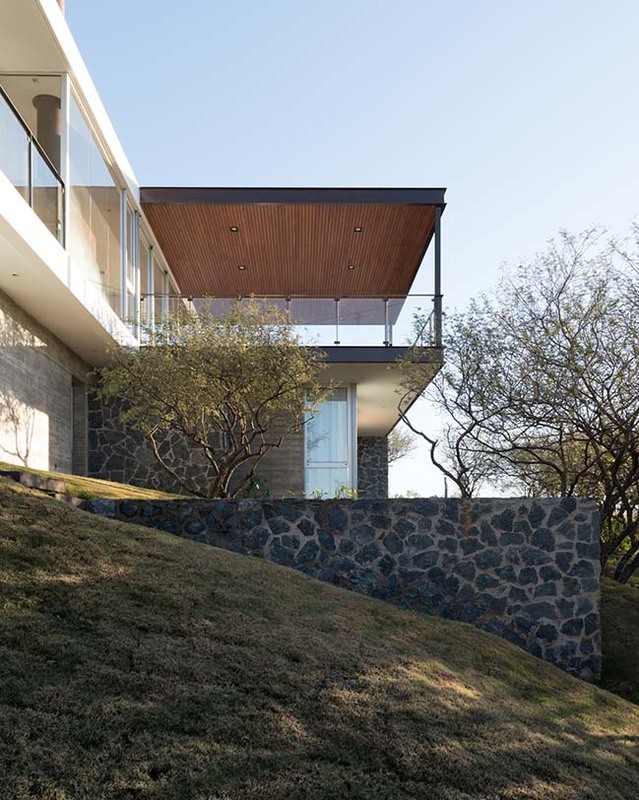 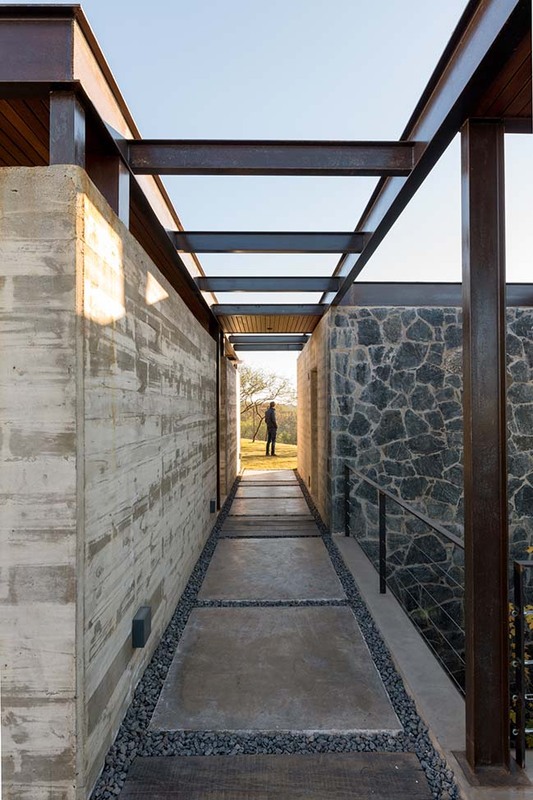 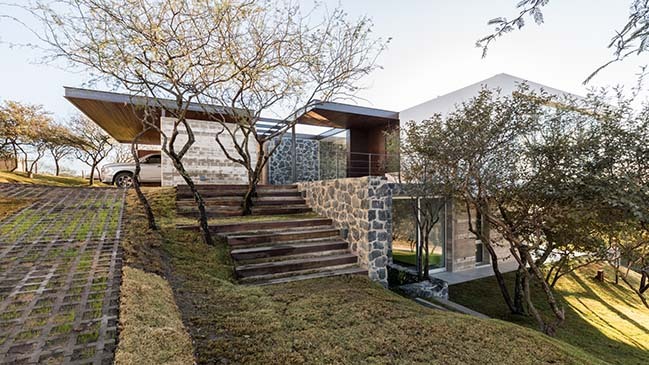 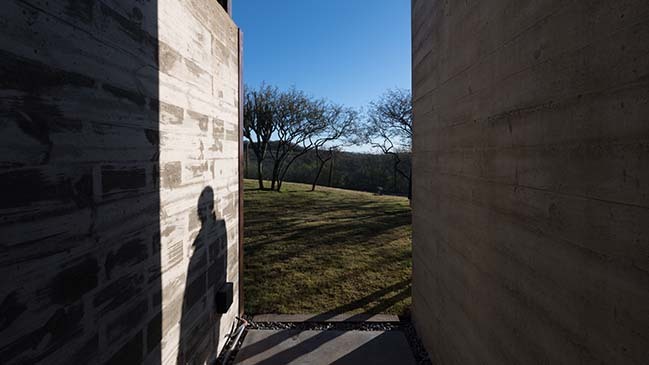 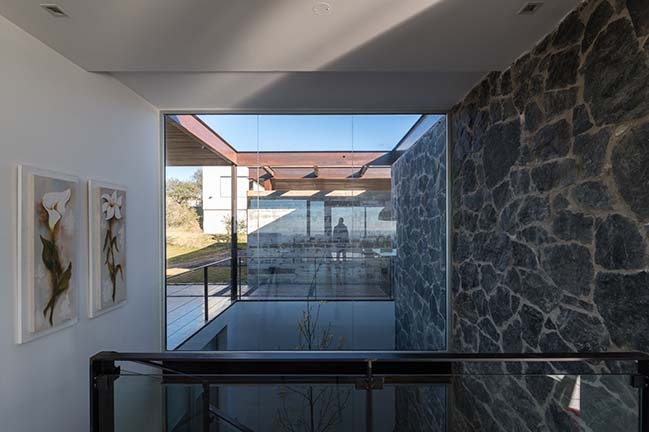 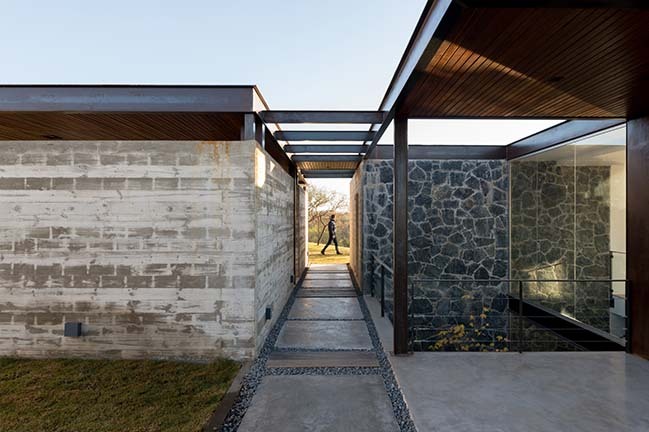 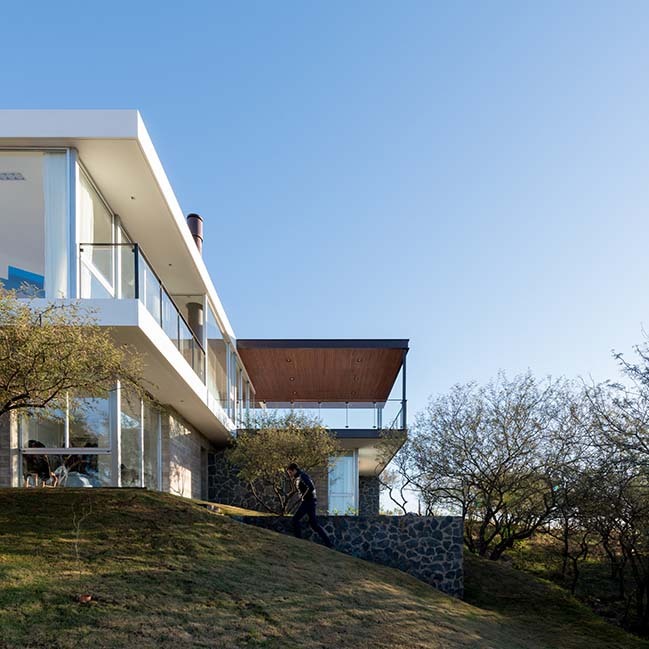 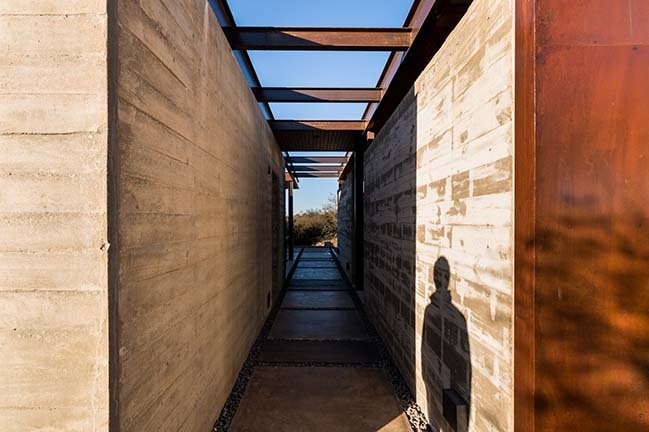 The secondary volumes are merged through the combination of iron, concrete and stone, stressing the relationship between the house and its surroundings.